When you have your Aerostar maintained at Aerostar Aircraft or buy a restored Factory Certified 700, you get more than just a great Aerostar; you’re getting the benefit of a factory with more combined Aerostar expertise and knowledge than anywhere in the world. The founder and key employees of Aerostar have years of Aerostar involvement. 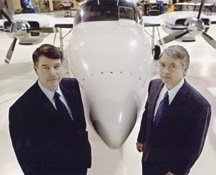 From the early days of Ted Smith Aerostar to the formation of Aerostar Aircraft Corporation in 1991 Combining these top Aerostar experts under one roof has resulted in numerous refinements and upgrades now enjoyed by hundreds of Aersotar owners worldwide. Before co-founding Aerostar Aircraft Corporation, Mr. Speer held engineering positions with Ted Smith Aerostar, Boeing Company, Aerojet Manufacturing Company, and the Navy’s Pacific Missile Range. 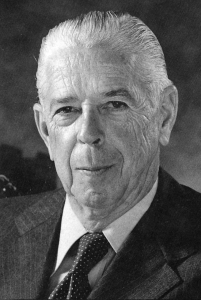 He was also a co-founder of Machen, Incorporated and American Aviation, Incorporated, two companies engaged in aircraft development, Federal Aviation Administration (FAA) certification, manufacturing, and sales of aircraft “after-market” aviation products. Mr. Speer has a B.S. in Mechanical Engineering from Washington State University and over 27 years of aircraft development and FAA certification program experience. Besides management responsibilities, his expertise includes research and development, structural design and analysis, and powerplant design and installation. 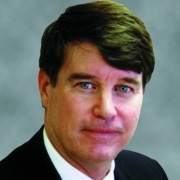 Prior to assuming his position as President, Mr. Speer held FAA DER (Designated Engineering Representative) status for both aircraft structures and powerplant installations. 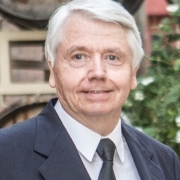 Mr. Jim Christy is responsible for market research, sales, and overall marketing strategies for all products. Mr. Christy’s aviation experience includes a solid background in the operational aspects of the Aerostar. Before co-founding Aerostar Aircraft Corporation, he held positions in customer service, sales, and sales management with Ted Smith Aerostar Corporation, Piper, and with Aerostar dealers. He was also involved early on in the formation of Machen, Incorporated and a co-founder of American Aviation, Incorporated. Mr. Christy has over 20 years of aircraft operations, sales, and marketing experience. Mr. Christy has developed and implemented marketing and sales strategies for all of Aerostar’s products. In addition, he has directed the flight test certification program associated with Aerostar’s current development programs.